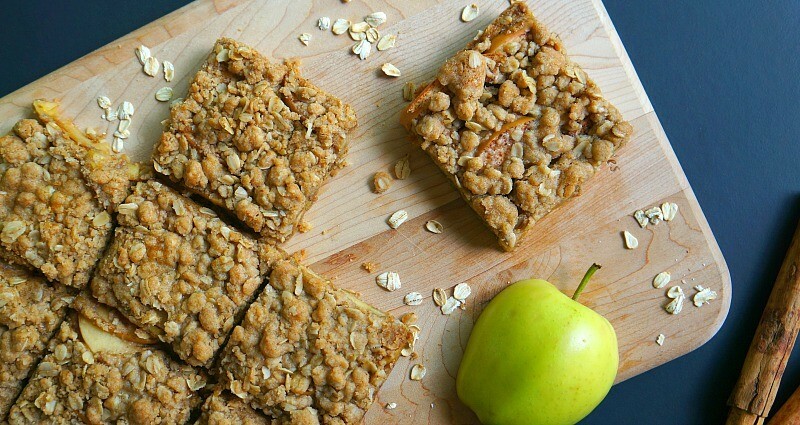 If you love a good warm apple treat, try these apple cinnamon oatmeal bars. 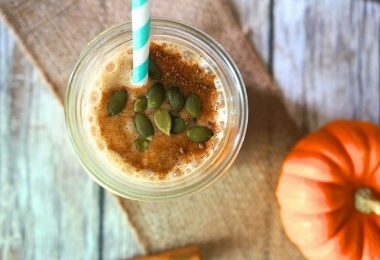 I just love the flavors of fall, and this recipe is the perfect way to enjoy them! 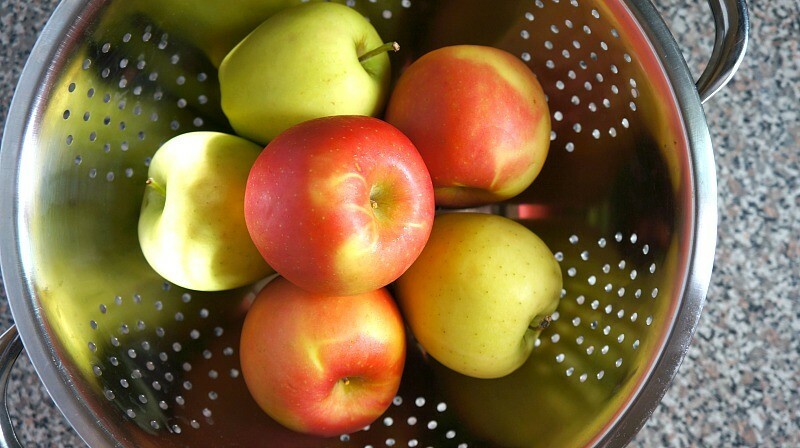 Who loves a good fall apple recipe? I was working with Quaker on an Instagram post about the goodness of oats, and how I love to include them in my daily routine (here’s the Instagram post). 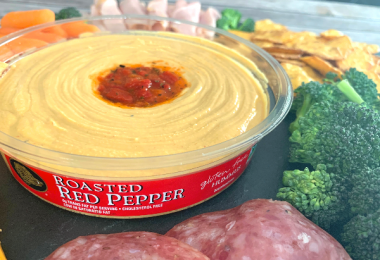 They are a delicious super grain that can be enjoyed a variety of different ways, and packed with fiber and other nutritional goodness. I decided to try an apple oatmeal bars recipe using some of the apples I had at home, and I love how it turned out! Whether you’re enjoying these for breakfast or a late night snack, I guarantee you’ll love these apple cinnamon oatmeal bars. See how easy it is to make these, a few pantry staple ingredients and you’re ready to bake. Of y love chewy oatmeal bars, you have got to try these..
Ok, so get started by pre-heating your oven to 350 degrees. Line the inside of your 13 x 9 baking dish with foil and spritz with cooking spray to prevent sticking. Combine flour, oats, brown sugar, salt, baking soda, cinnamon, and nutmeg in a large bowl. Cut in 1 cup of butter (2 sticks, softened) and mix until nice and crumbly. Spread 1/2 of the crumb mixture onto the bottom of your foil lined baking dish, press lightly to cover the entire bottom. Add apple slices as the middle layer, spreading them out nice and even. Top the apples with the remaining crumb mixture, spreading this layer evenly over the top of the apples. DO NOT press it down. Pour your 1/2 cup of melted butter evenly over the top of the dish and bake at 350 degrees for 30 minutes. Once they’re finished, allow them to cool for about an hour before attempting to remove the foil from the baking dish. Cut into 12 bars, or however many you want, and try these delicious apple oatmeal bars recipe with vanilla ice cream! These apple cinnamon oatmeal bars came out so good, they were actually gone by the next day! 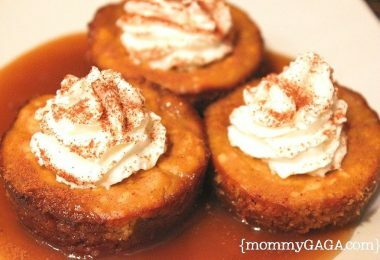 I am making these for dessert on Thanksgiving and adding a dollop of whipped cream or vanilla bean ice cream. So, so good. 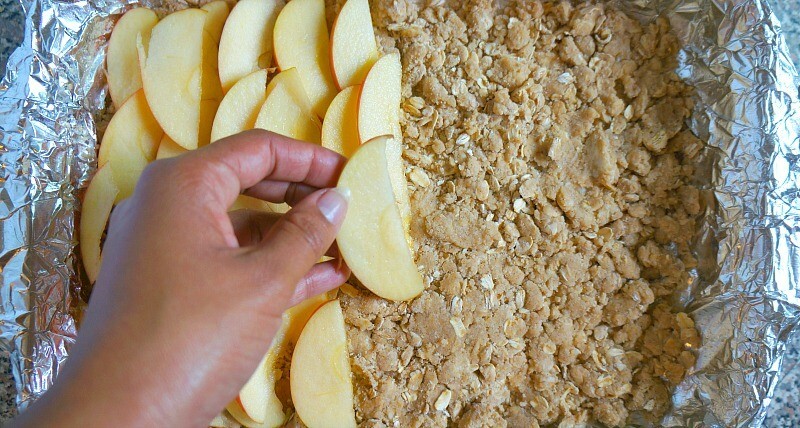 Put those fall apples and healthful oats to use, you might end up loving what you created! What’s your favorite way to enjoy oats? 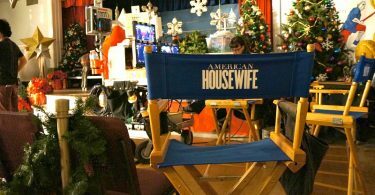 10 Fun Photos from The Set Of ABC’s American Housewife TV Show! 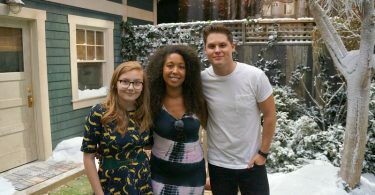 Visiting The Set and Meeting The Cast of The Real O’Neals! I’ve been looking for something different to try with some extra apples and these sound great. Can they be frozen for later?